Man Behind Lens: A Very Hot Wellington Christmas! 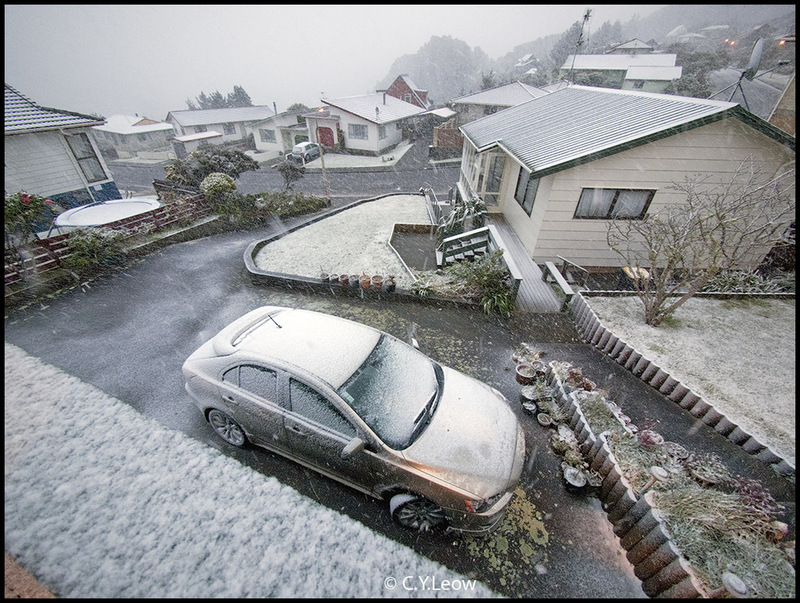 A Very Hot Wellington Christmas! There was one year I even broke my own record by roasting TWO birds! 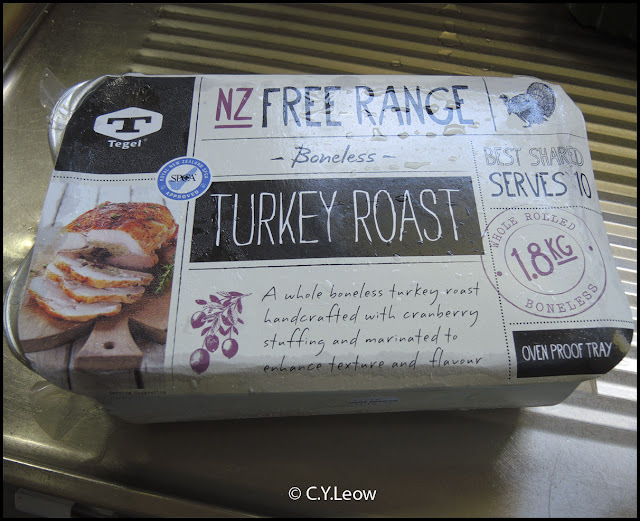 Please don't laugh... on the label it say "A WHOLE boneless turkey roast handcrafted with cranberry stuffing yada, yada..."
A whole rolled 1.8kg of easy beesy turkey roast PLUS oven proof tray for NZ $39.95! Deal! The packed bird roll is, of course; frozen. So if you are as lazy as me, please make sure you let the bird THAW in the fridge for 24-48 hours before cooking. 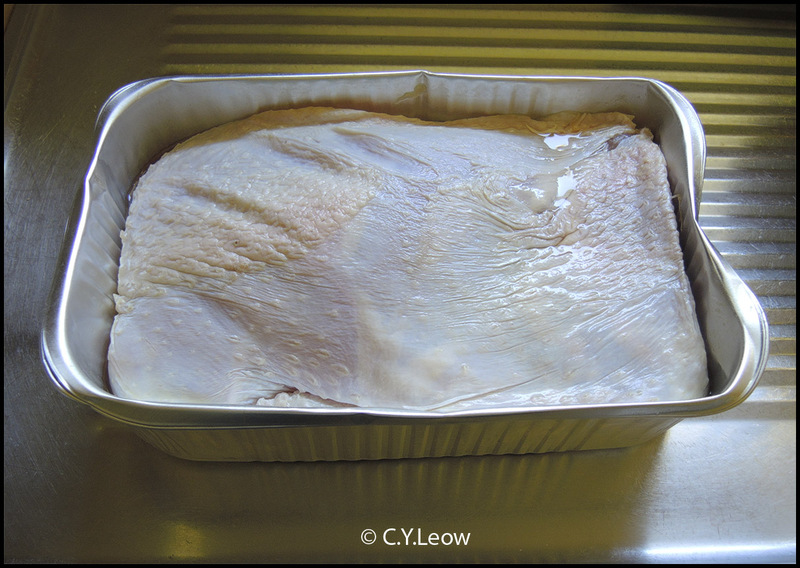 The not very appetising thawed turkey just before it went into a pre-heated oven. 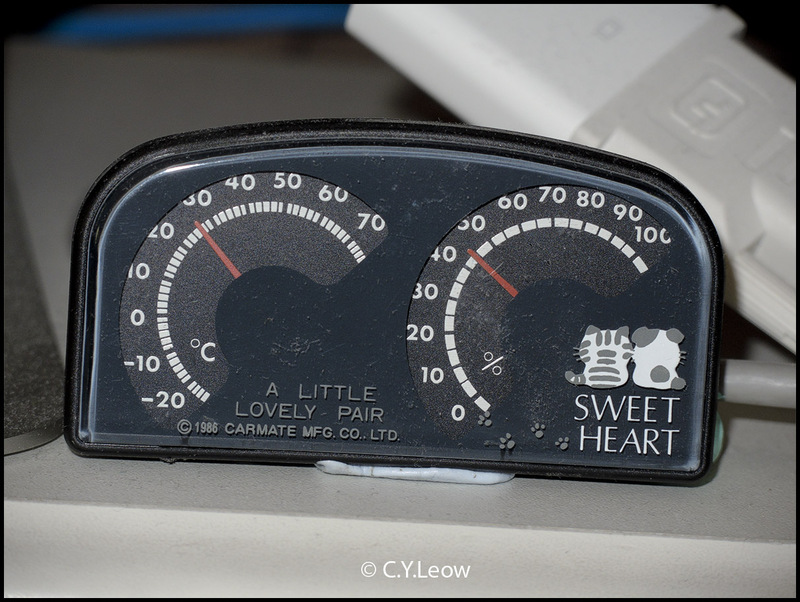 It took 95 minutes in our fan forced oven at 165C. 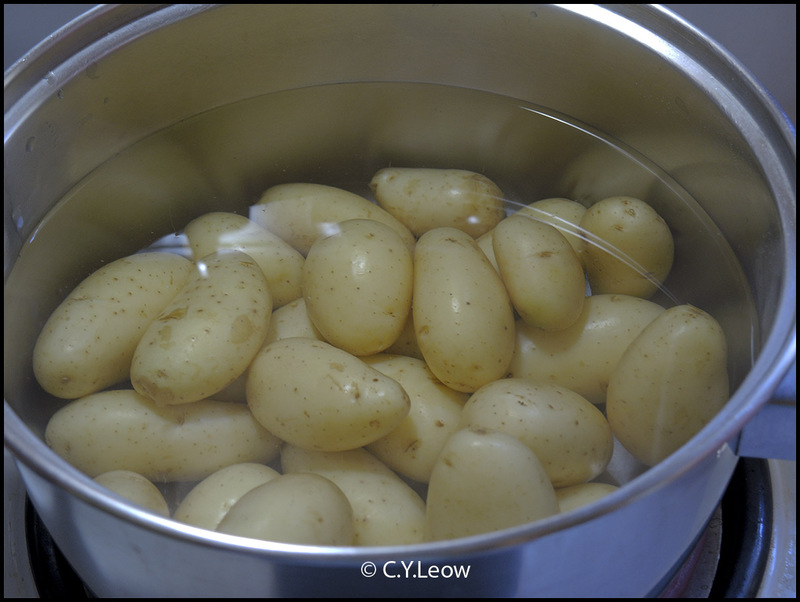 I also boiled some new season baby Perlas potatoes, these little gems only come around once a year! Yes, you can eat the skin! It is full of vitamins and minerals :) I usually do not fancy potatoes, but I never miss Perlas! Once the turkey is baked for 95 minutes and the skin go a golden brown, take it out of the hot oven; cover with foil and let it sit for at least 30 minutes. This is very important for a moist meat. 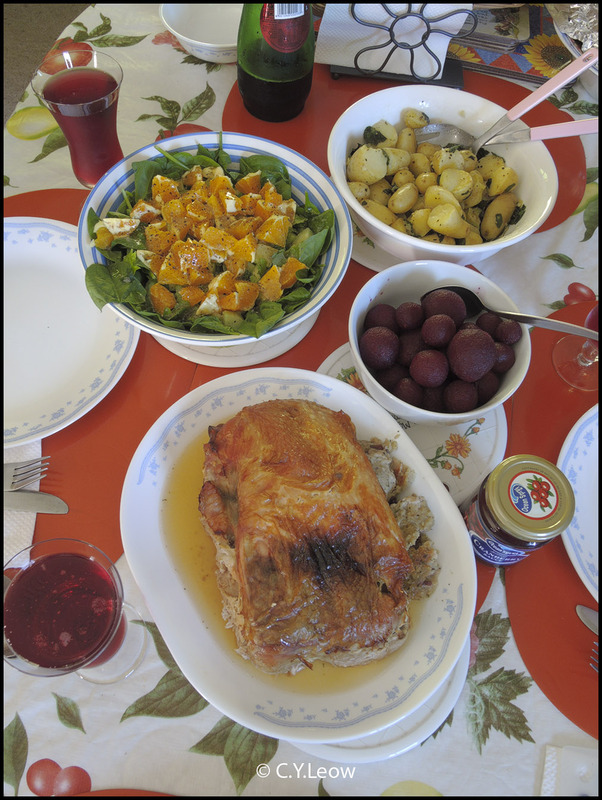 Our Xmas dinner, the surprisingly YUMMY packed turkey with stuffing; baby beetroots, cucumber salad with oranges and the Perlas potatoes tossed with butter and mint. And did I tell you the temperature was sweltering? It is so hot and humid, like Malaysia! Heck, look at the thermometer! That is inside our living room! Yum!! Looks so yummy! 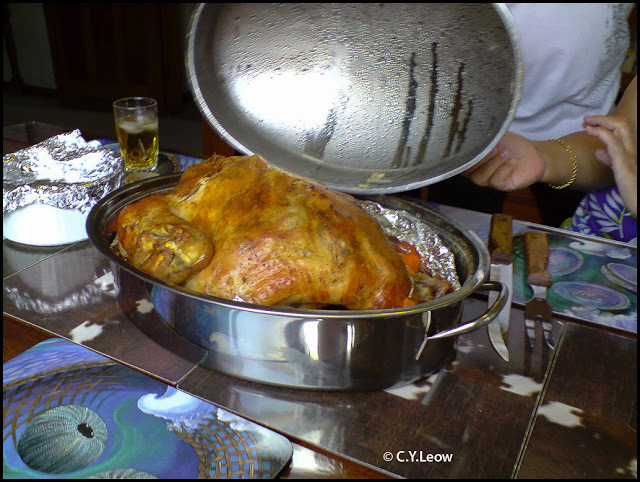 What a good idea.A turkey like that in it`s own foil roasting dish would be better that the real Mc Coy. Iv`e never heard of Perla potatoes. 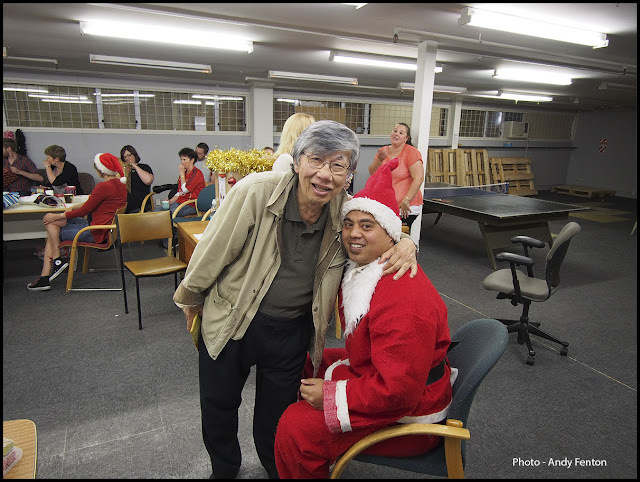 Will have to look out for them this xmas.